Cobblers are one of my favorite things to have for dessert. I find that the best ones use a biscuit-y batter that isn’t overly sweet and allows the fruit to shine through. 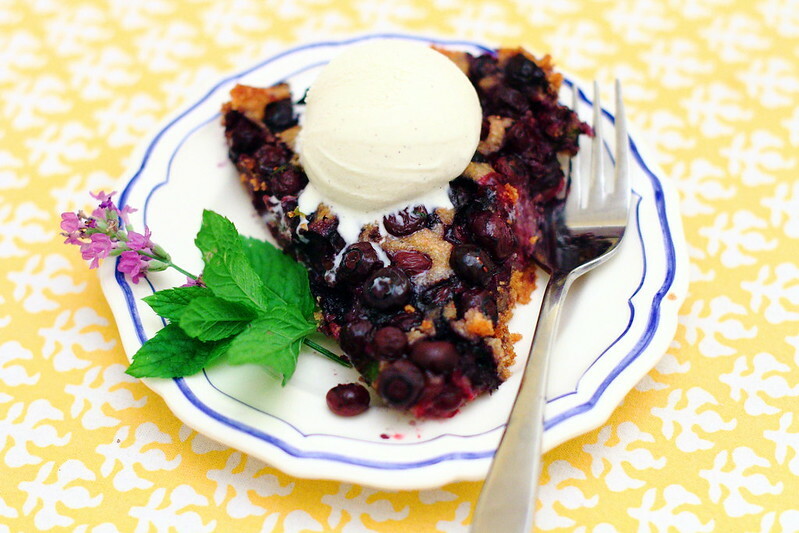 I recently decided to give this blueberry recipe a try and found that the mint adds a fresh taste that complements the blueberries wonderfully. 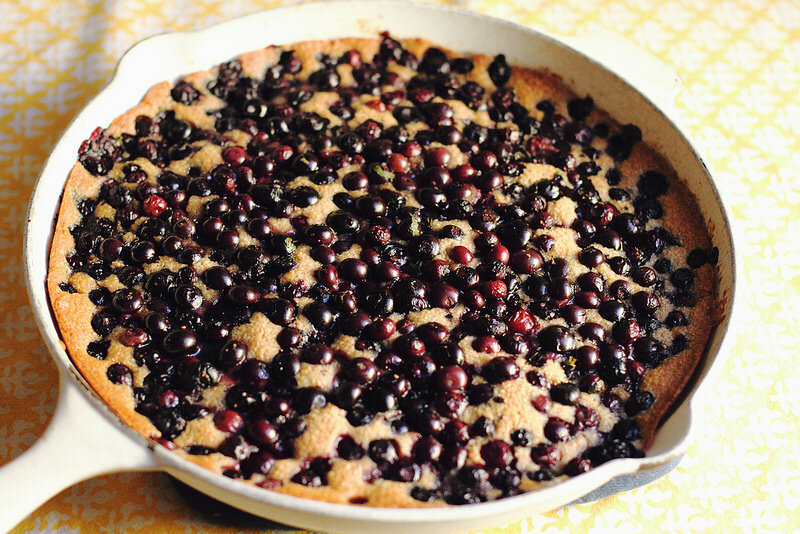 I tend to shy away from using whole wheat flours in desserts, because I find they can be overpowering, but in this case, it creates a rustic flavor that goes perfectly in a cobbler. Preheat oven to 350°F. Mix lime zest, mint, confectioners’ sugar, and blueberries in a bowl and set aside. Place butter in a 10½-inch cast-iron (or heavy, oven-safe) skillet and transfer to oven for 5 to 7 minutes. Meanwhile, to make the batter, combine flour, baking powder, and salt in a bowl, then whisk in milk, agave syrup, and vanilla. Remove skillet from oven, add butter to the batter, and stir to combine. Pour batter into the hot skillet, top with berries, and bake until the batter has browned and risen up around the fruit, 30 to 35 minutes. Transfer skillet to a rack to cool slightly. Serve with a scoop of vanilla ice cream and a sprig of mint. This looks + sounds SO good!